Just now arriving at the Geneva airport, while waiting for our delayed flight back home, I realize it was yet again another impressive visit! 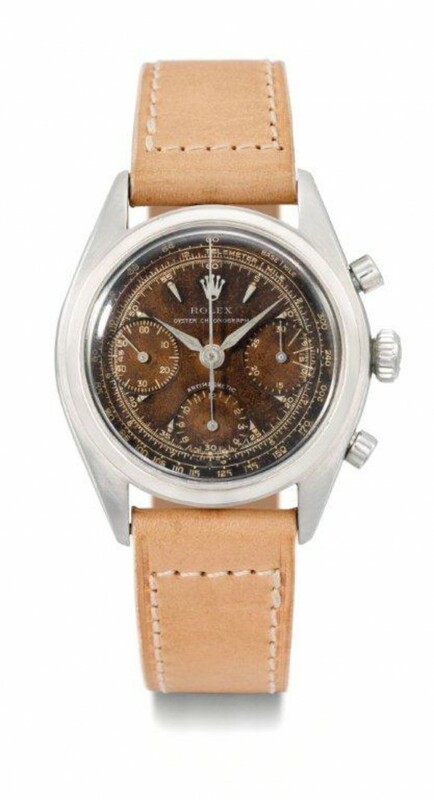 Best news I can share with you now is the fact that Rolex will beat Patek Philippe for most expensive watch sold at Christie’s May Auction. 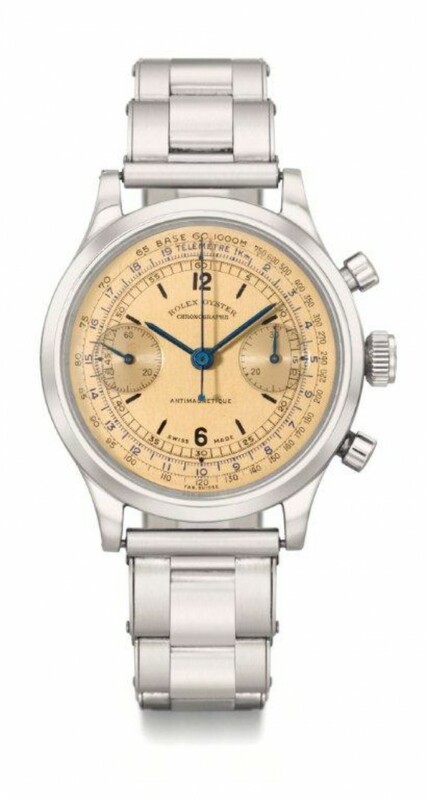 The Ref 4113 Split Seconde Christie’s will go over 1 million euro for sure, but their special white gold PPC calendar won’t hit that much! 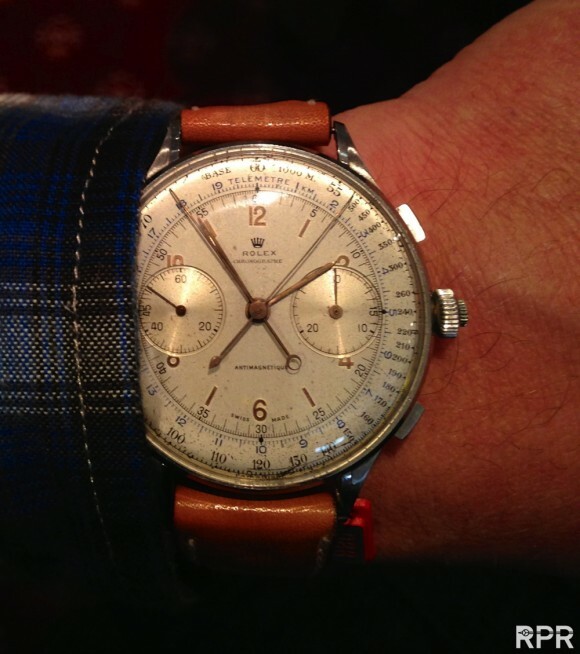 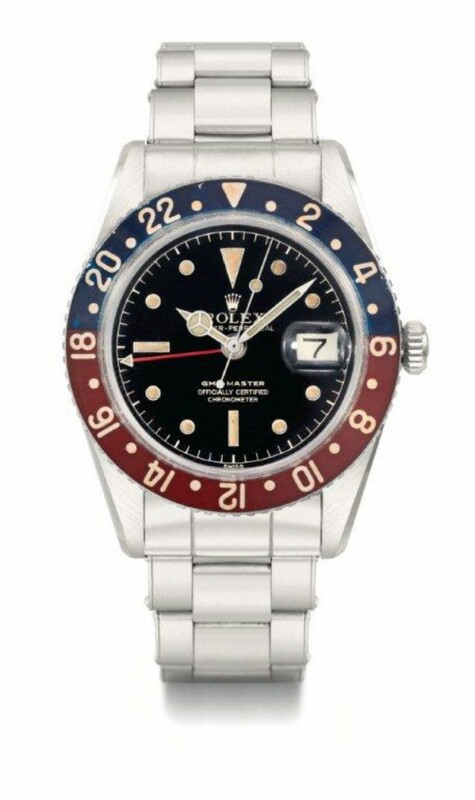 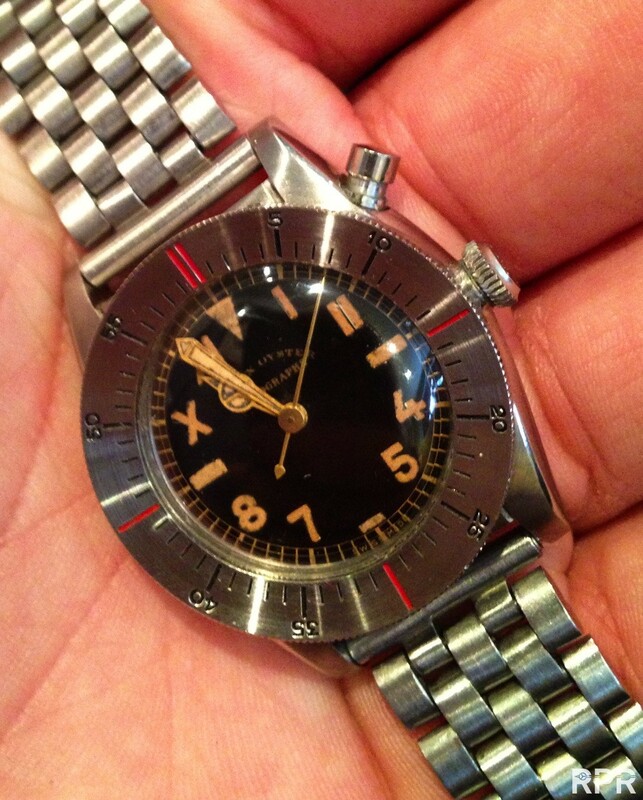 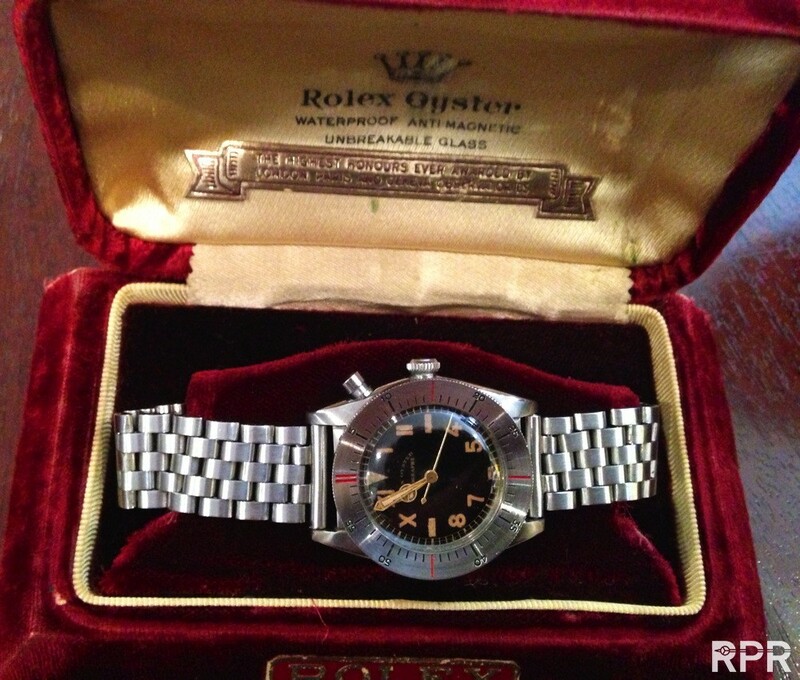 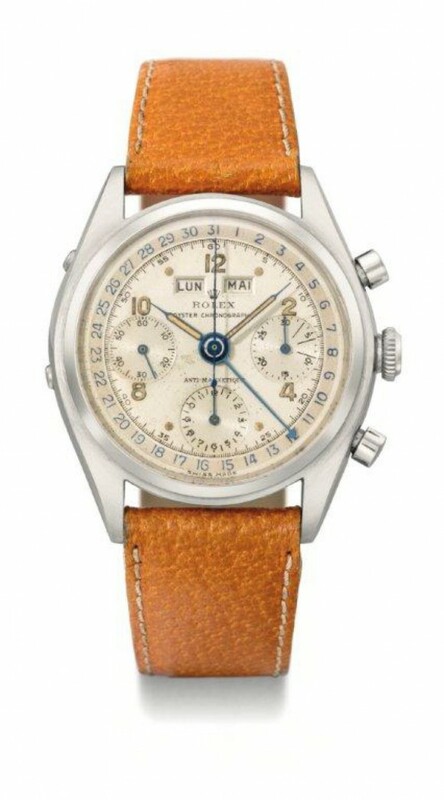 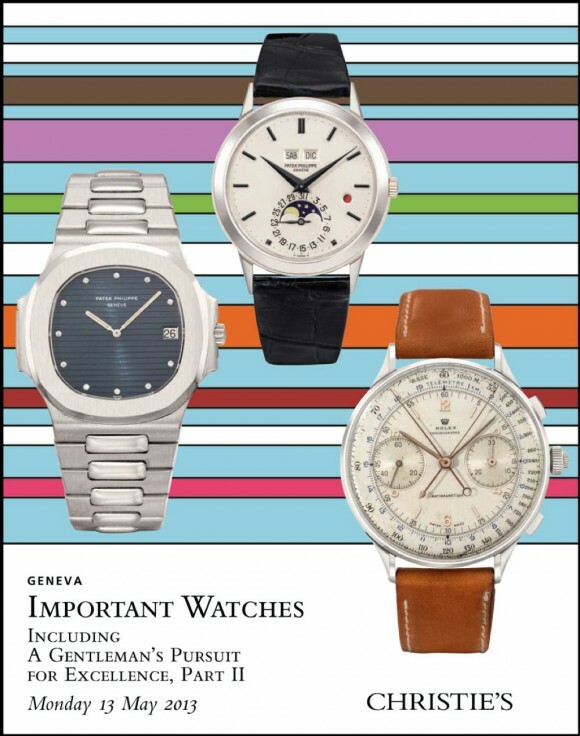 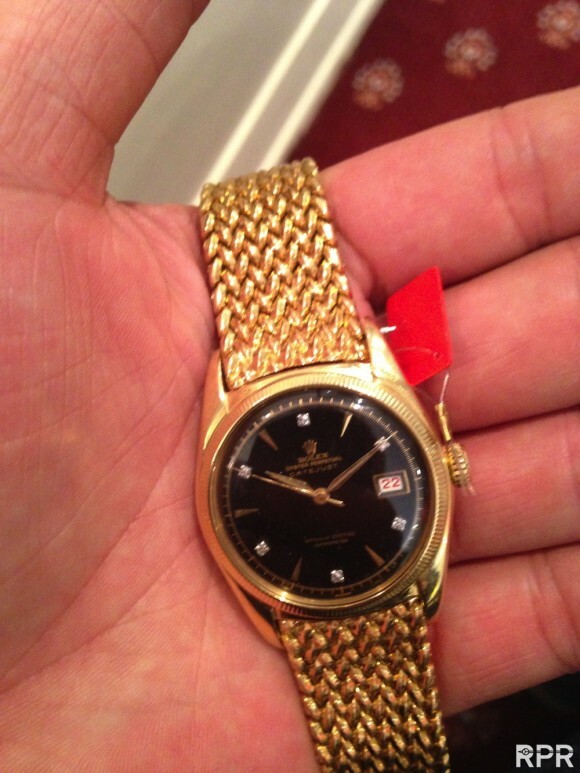 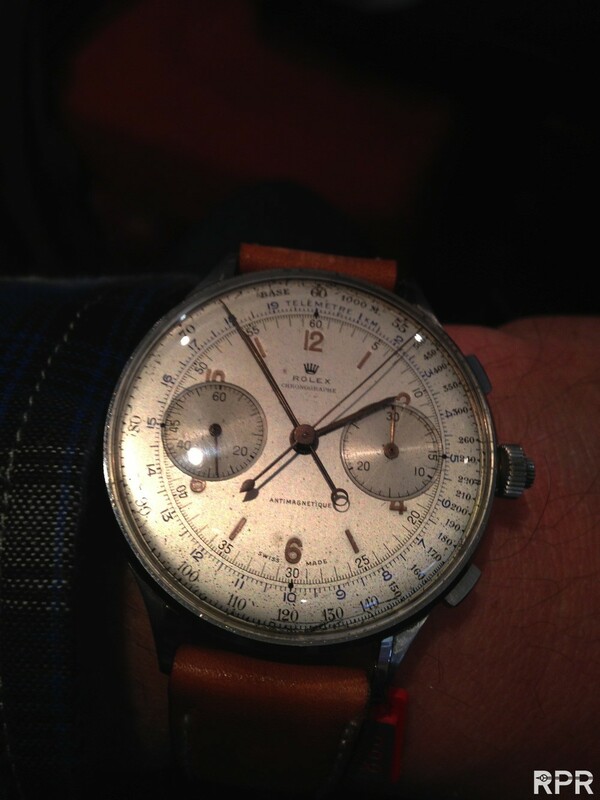 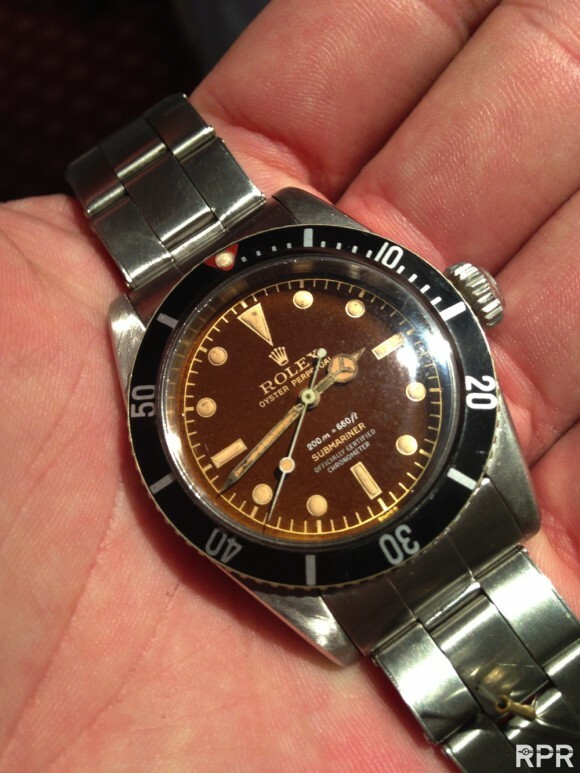 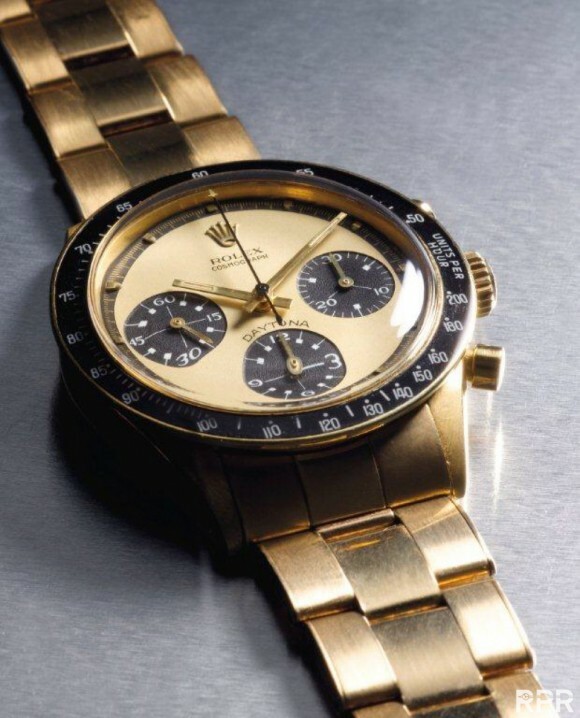 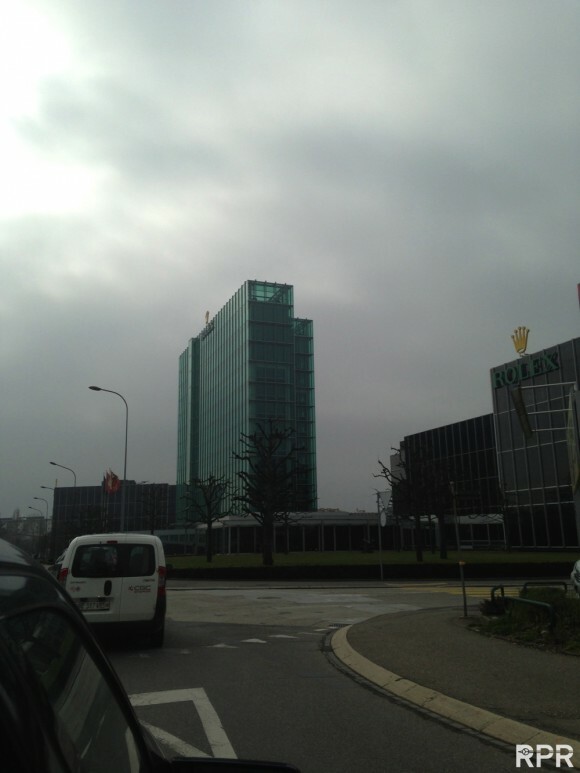 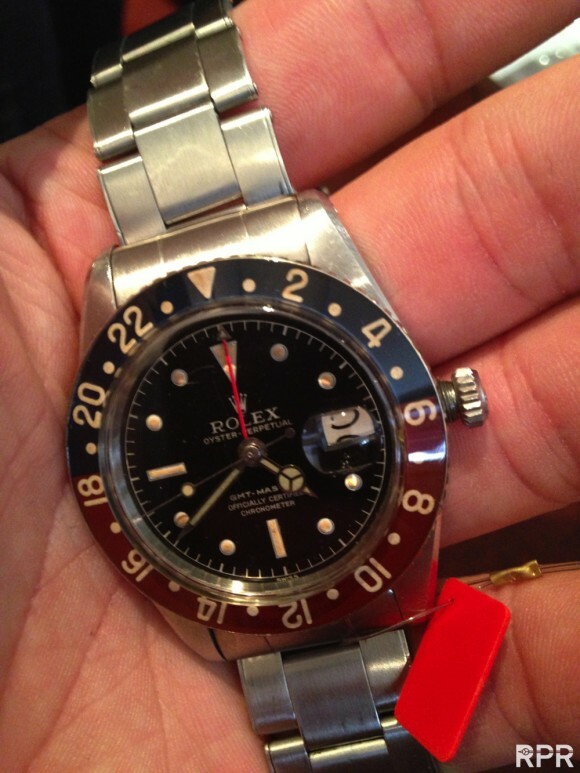 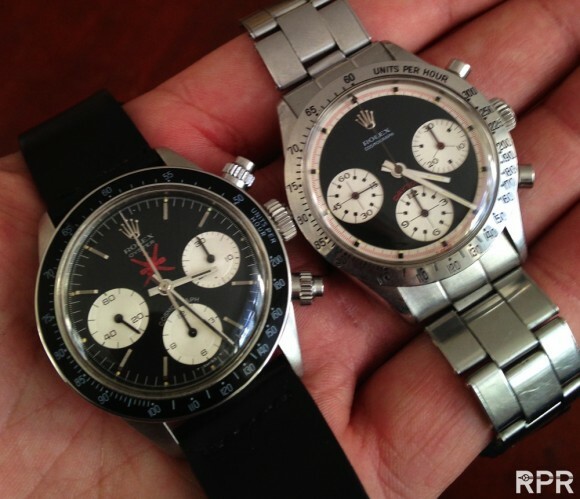 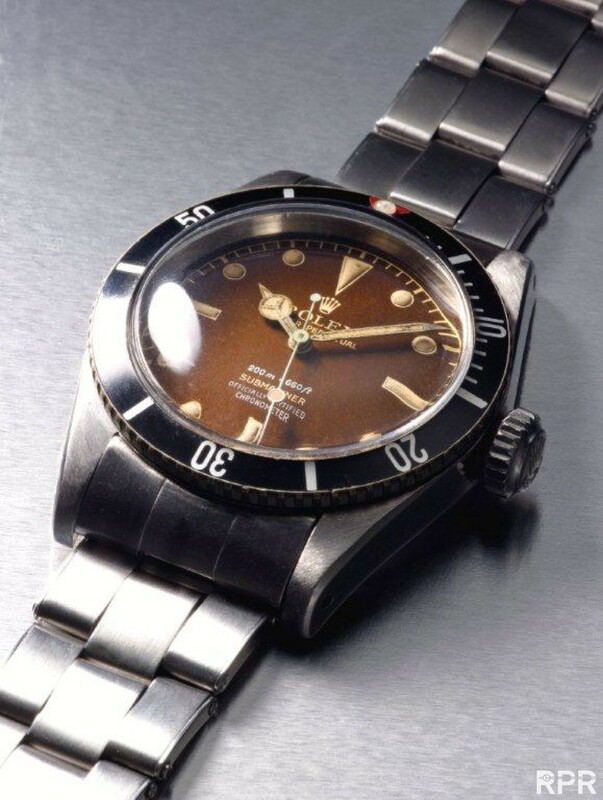 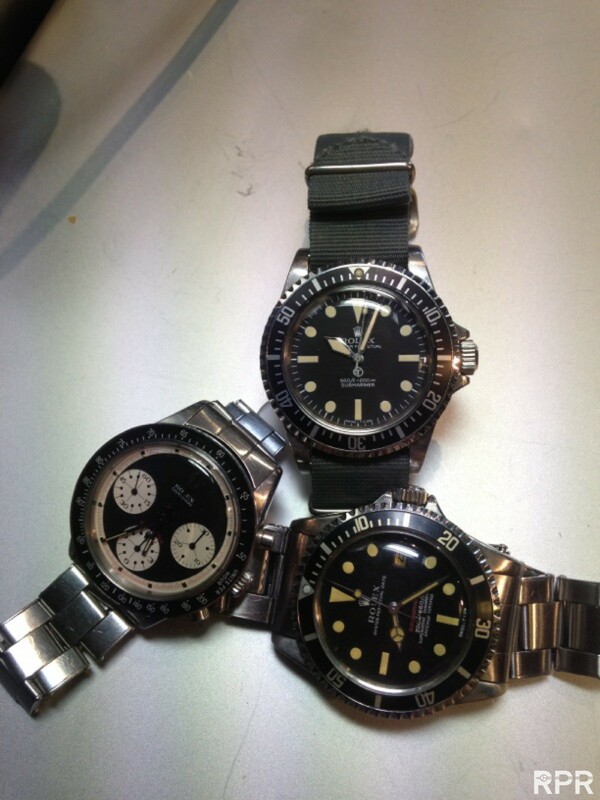 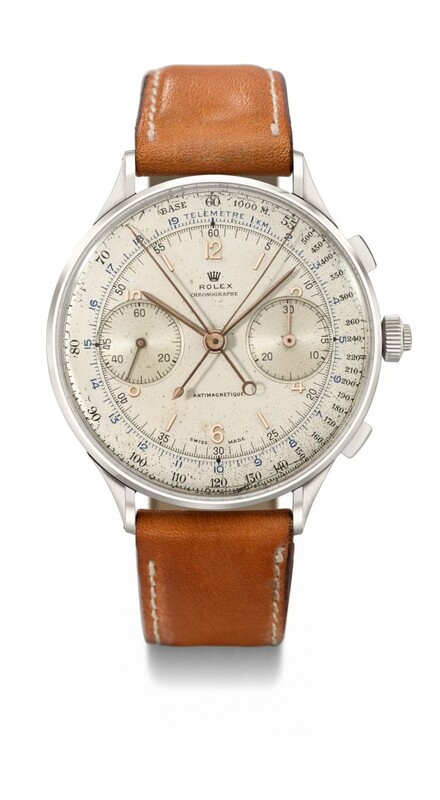 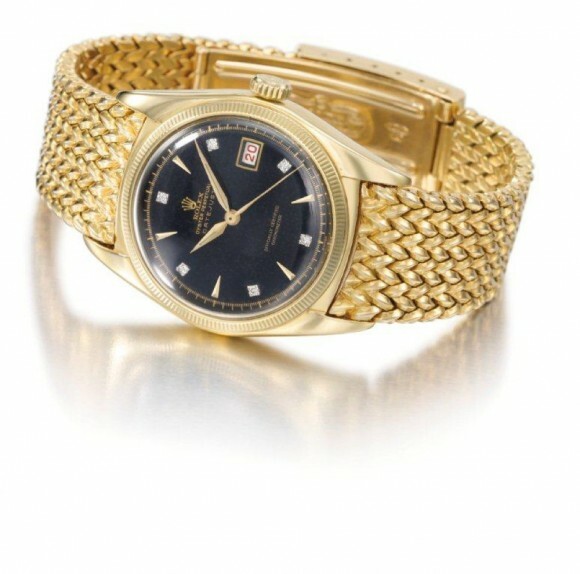 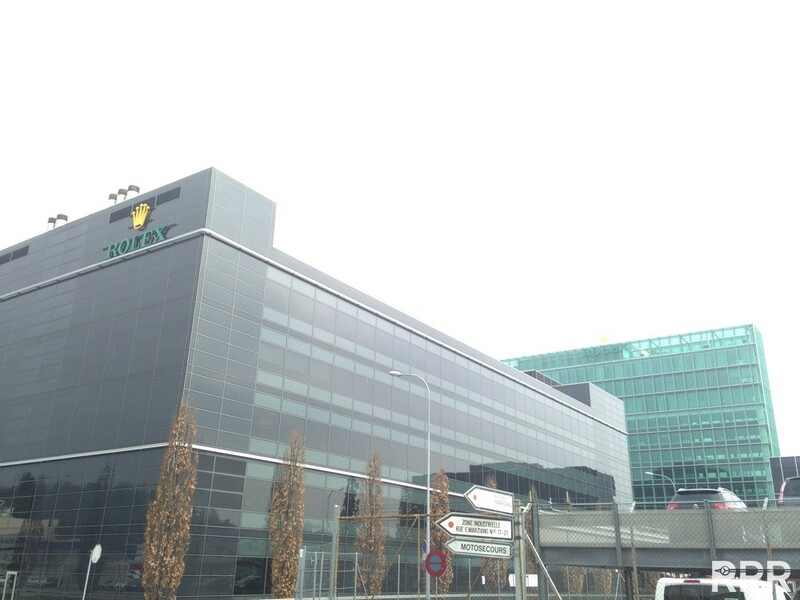 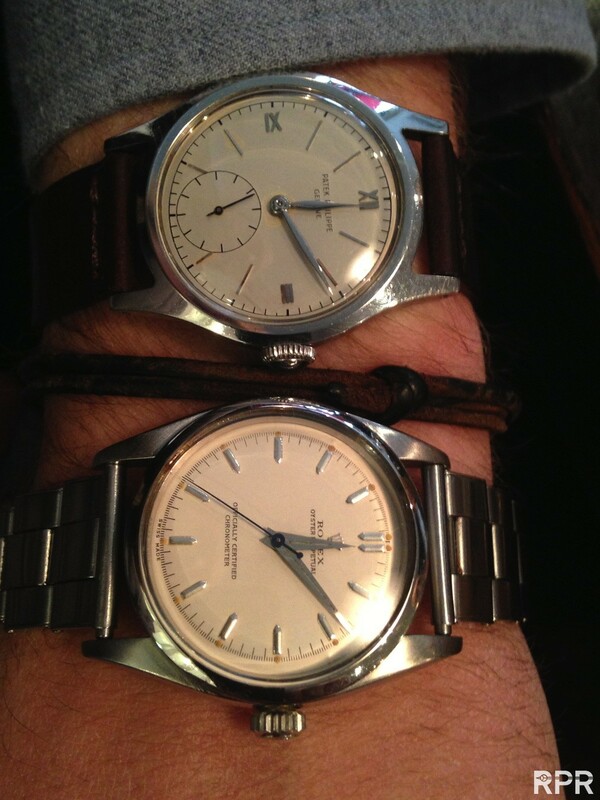 So for the first time ever, Rolex will beat PPC @May Geneva Auctions! 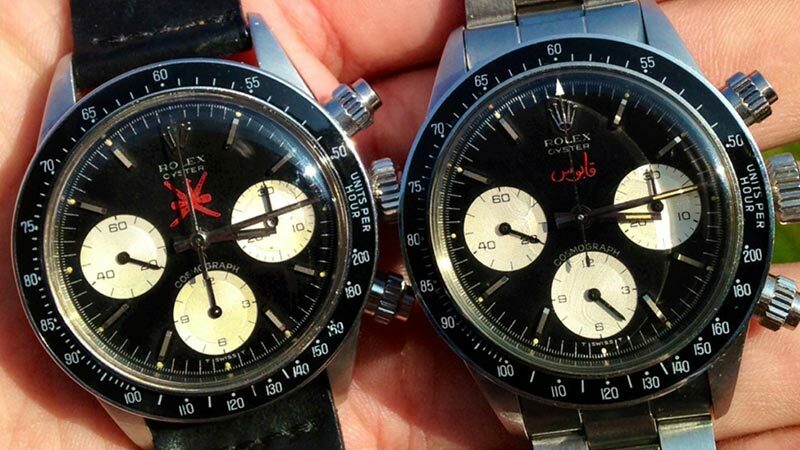 Unique Daytona Cosmograph couple, never seen been together, the serial numbers are only a couple of numbers away from each other! 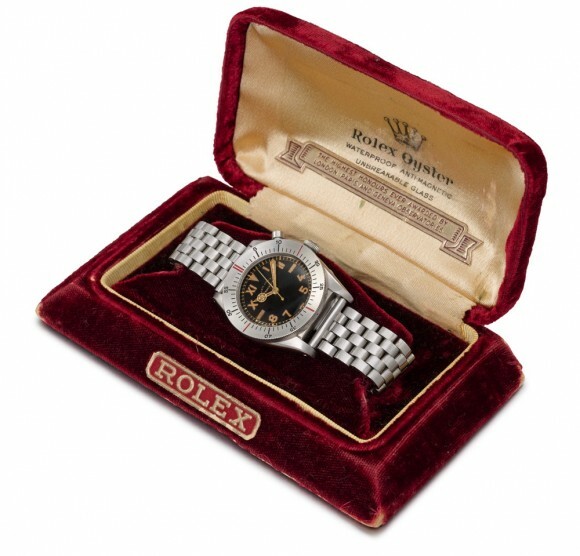 Including it’s original Oman Box….Nice detail, the Qaboos – Asprey Ref 6263 Cposmograph comes including the papers/map what where kept and stored for many years in the box. 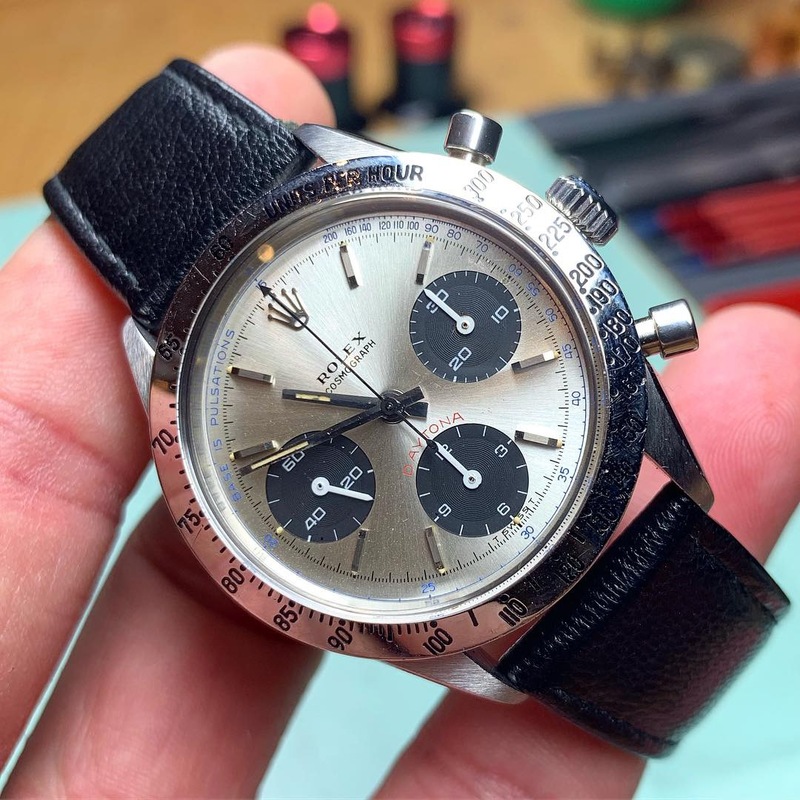 Everything is new, the bracelet is hard to open, the Asprey stamp is ultra fresh, case so amazing fat and beveled, brilliant patina, just brilliant! 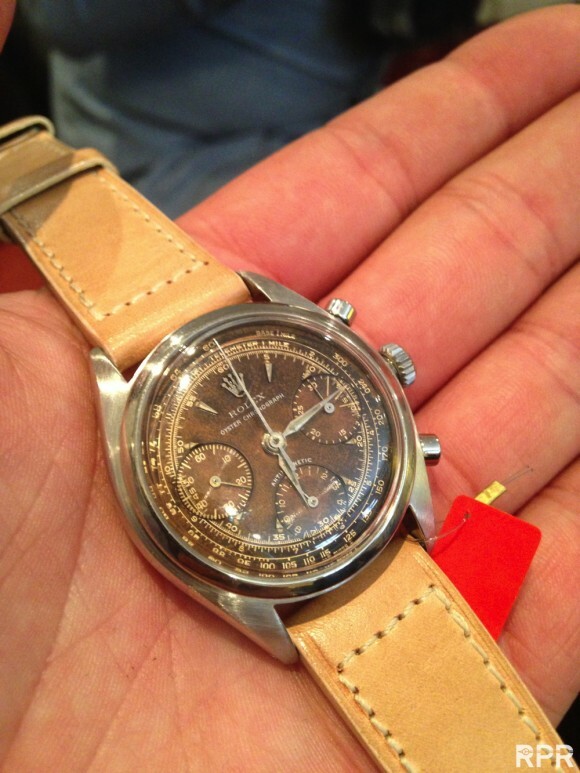 So the inside of the box pressed on the tropic/ glass of the famous Daytona and left a remarkable patina / print into it..I love these remarkable details, just like the little red dot in the edge of the case back that marks the so called spot for case engraving..
Their old safe is just brilliant!! 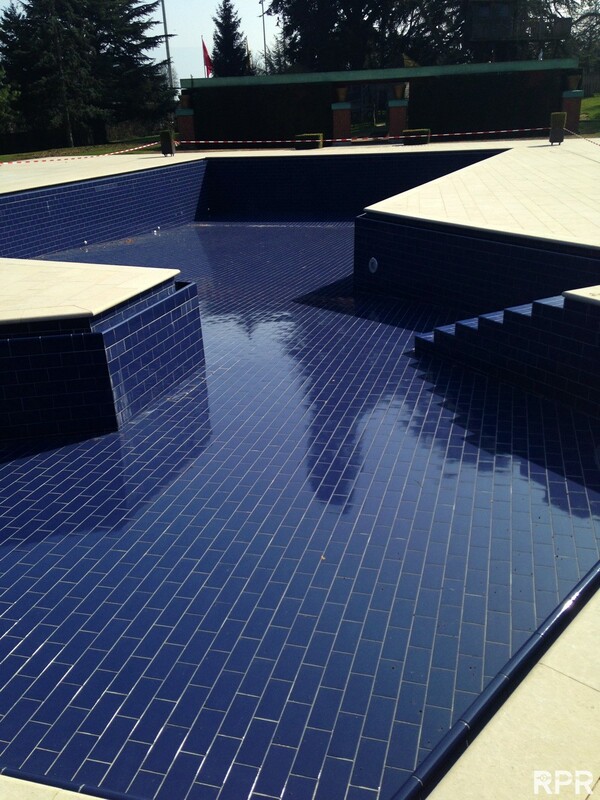 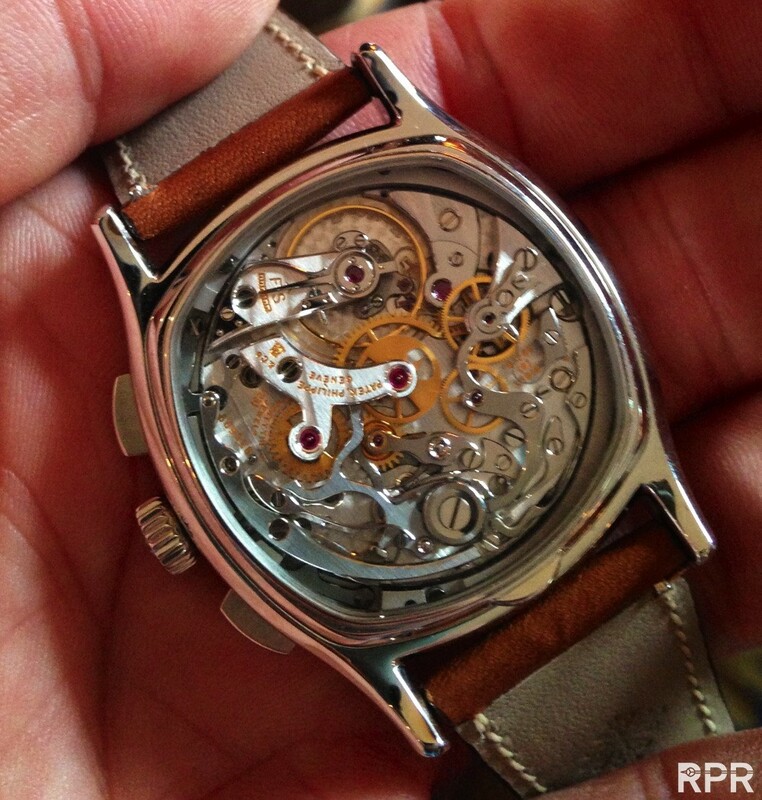 So much eye for detail and perfection you find here, pure passion! Caramba!!! 😉 Only made by Patek Philippe in very very small edition, stainless steel case having original old Chrono inside of legendary caliber 130!! 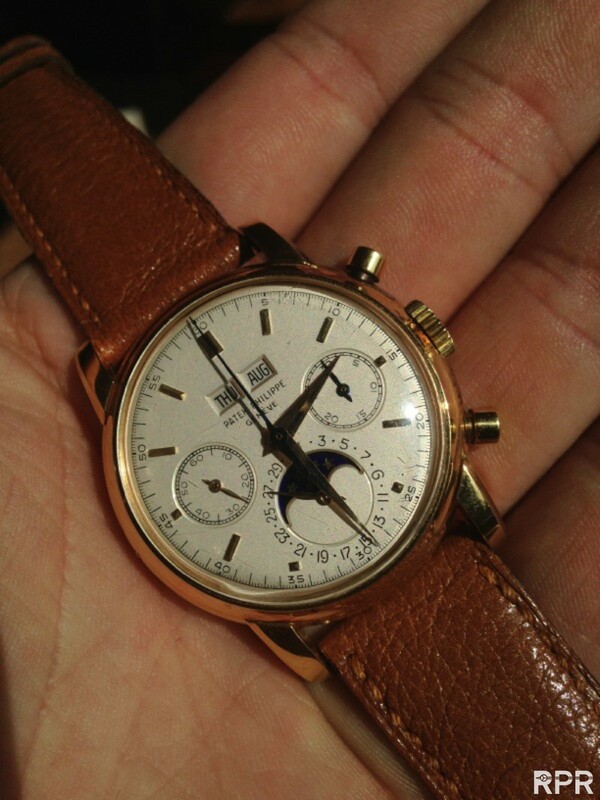 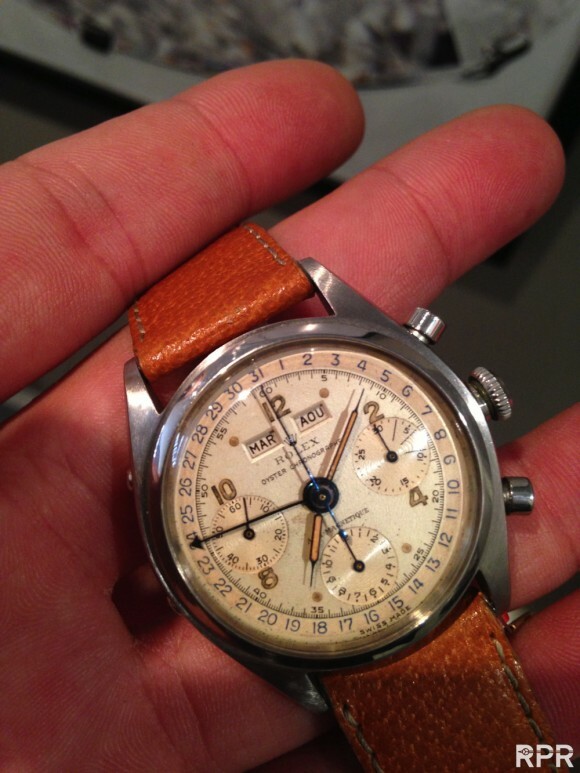 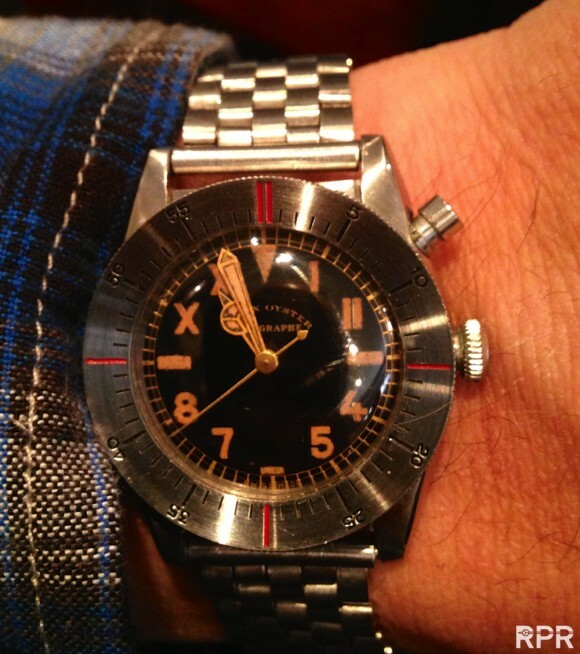 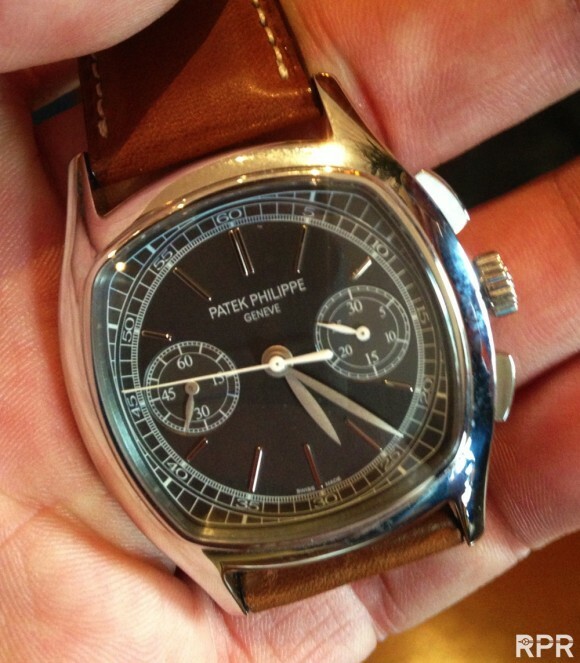 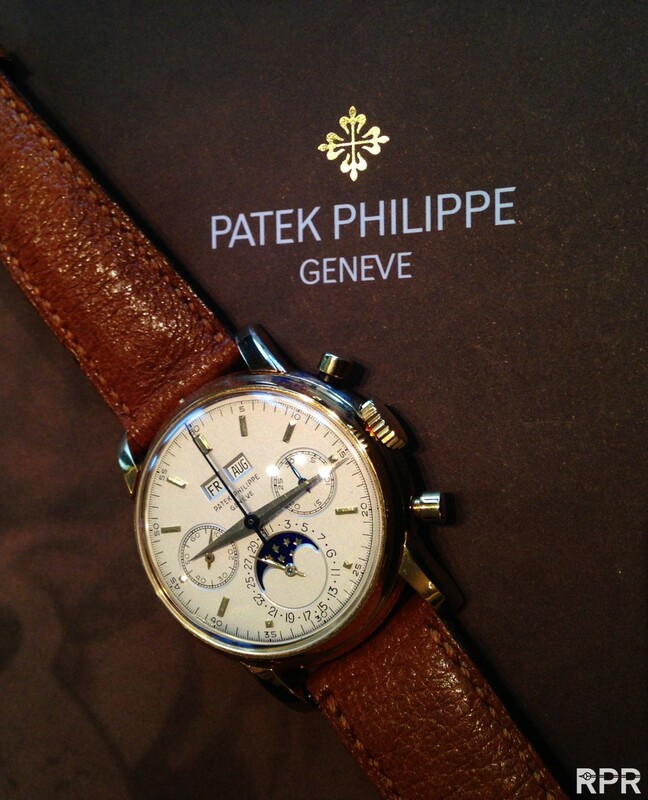 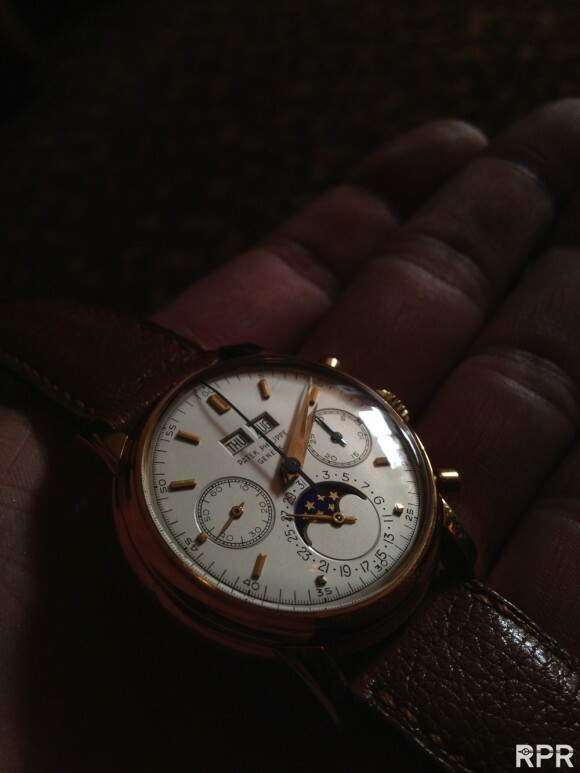 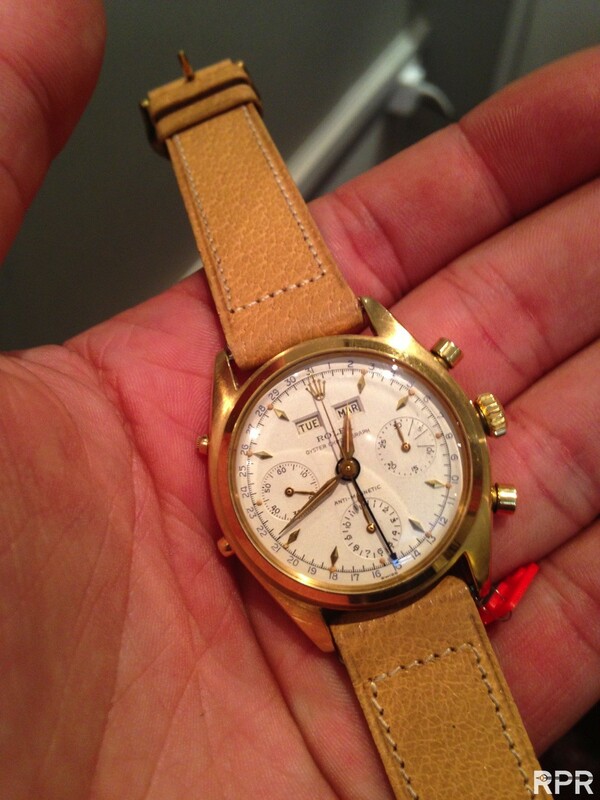 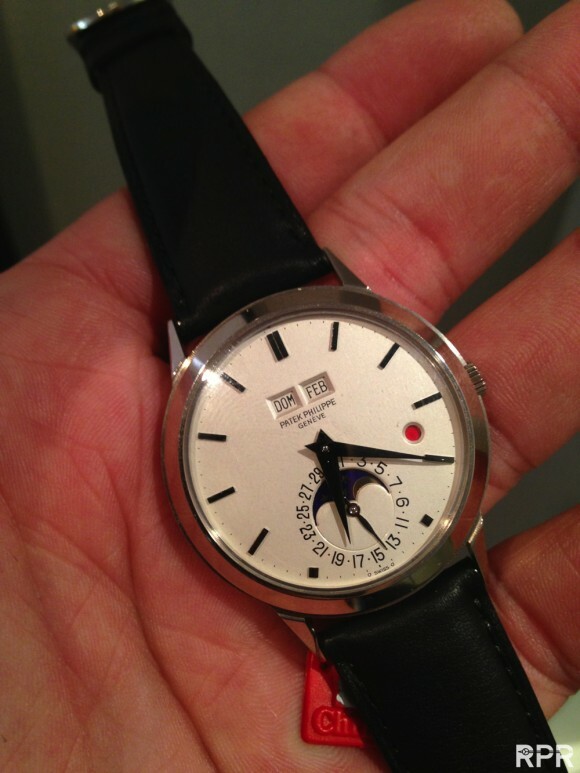 Nicely visible is the vintage Patek Philippe caliber 130, whaoo!! 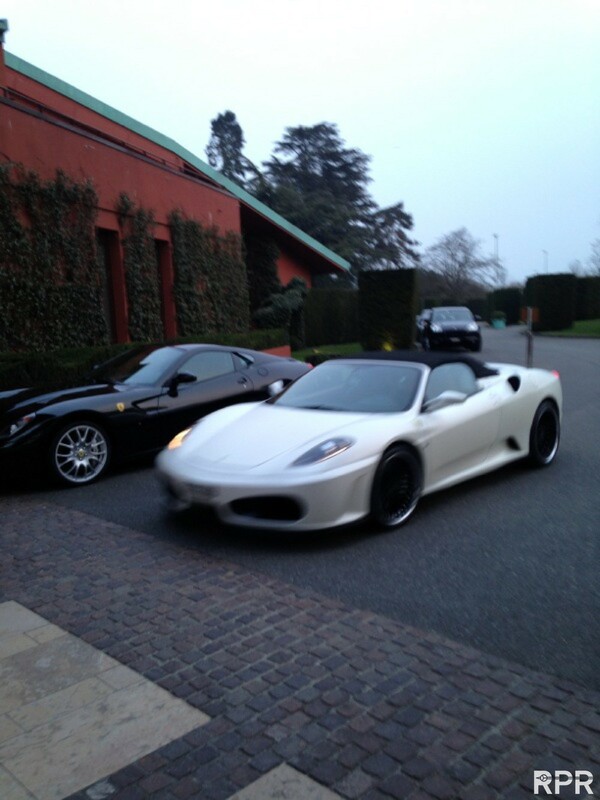 New & Old melting together, compliments!! Rolex Cosmograph Oman, Ref. 6263..
And it’s Qaboos brother, only a couple numbers away by serial number.. 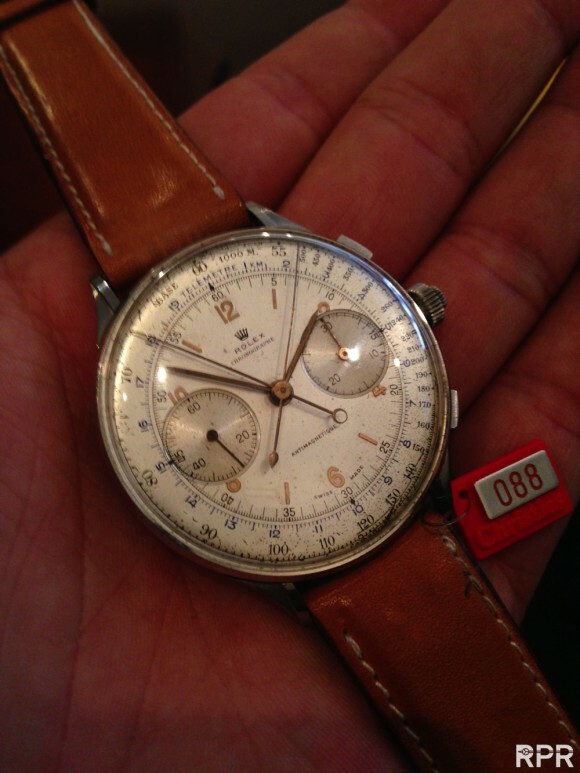 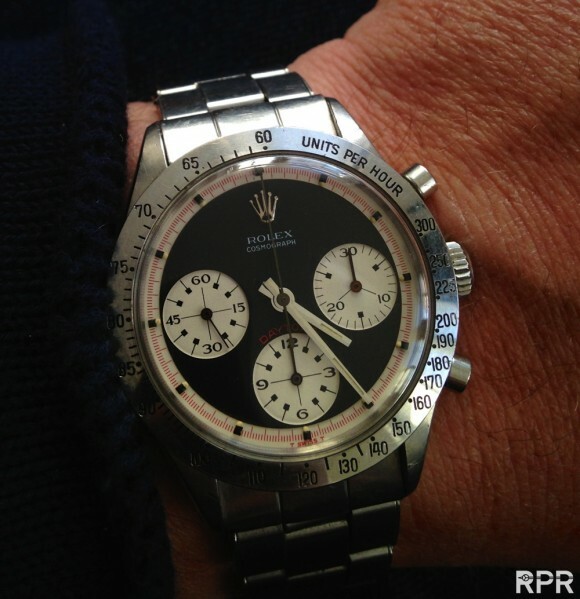 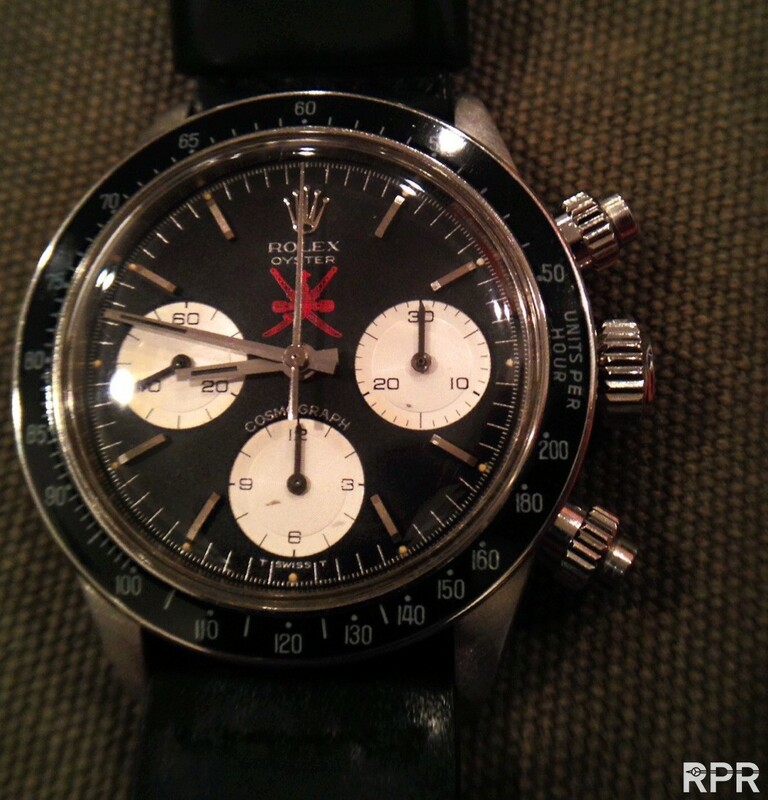 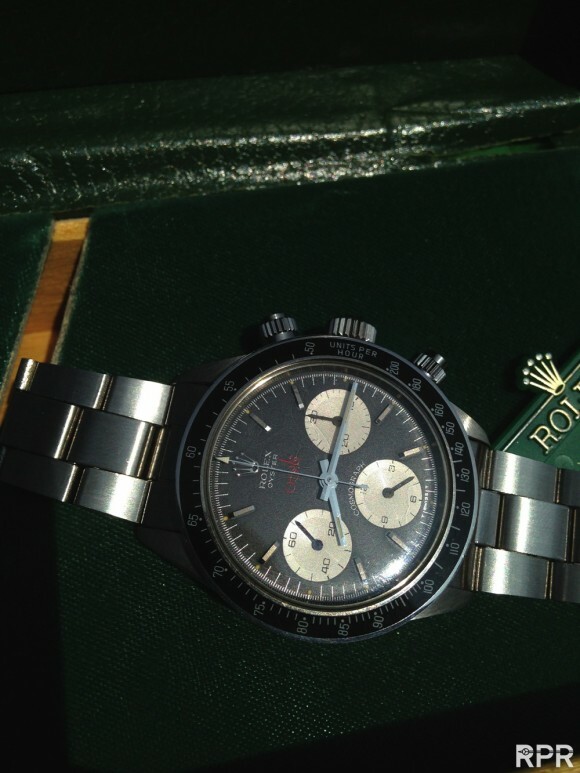 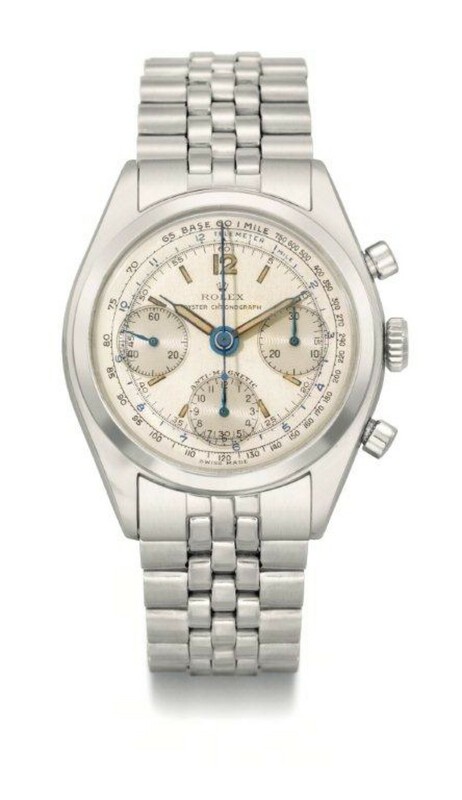 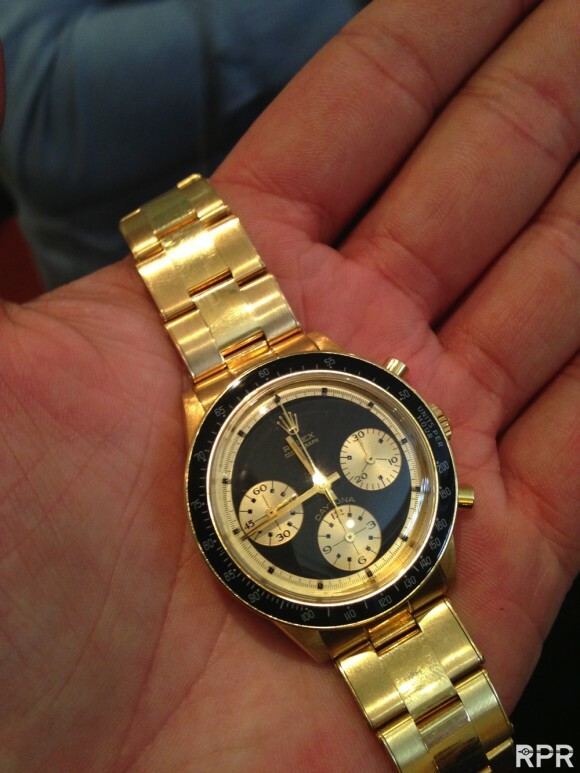 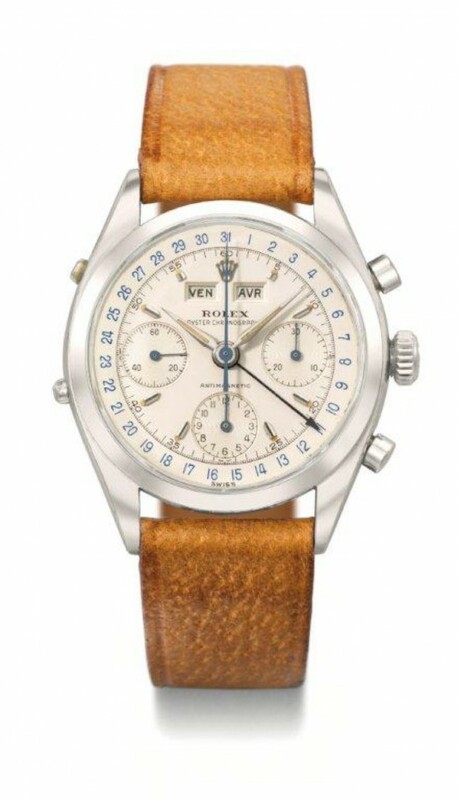 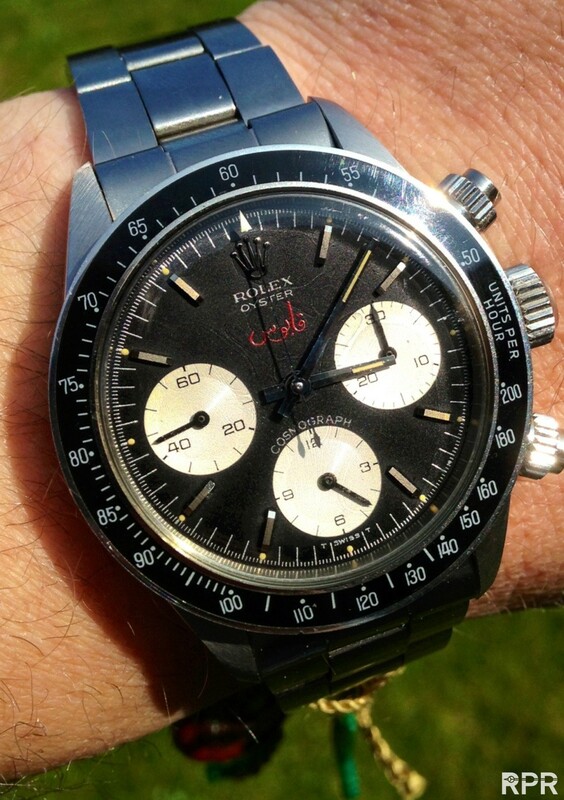 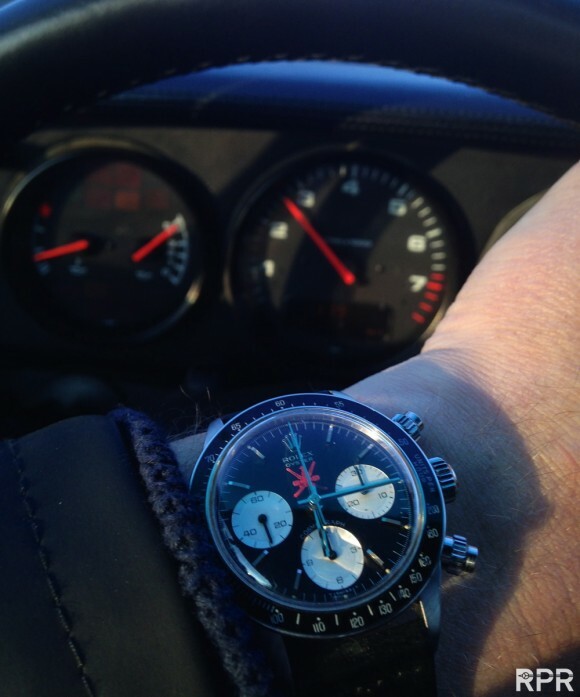 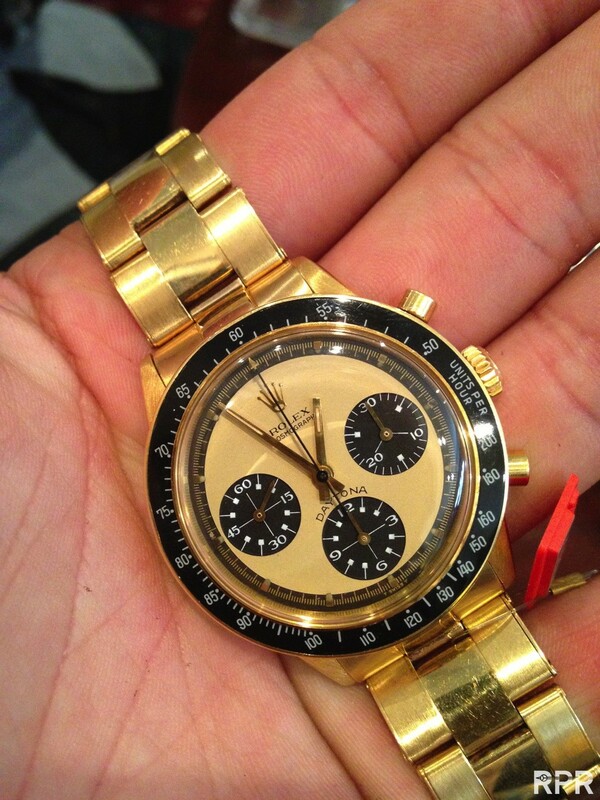 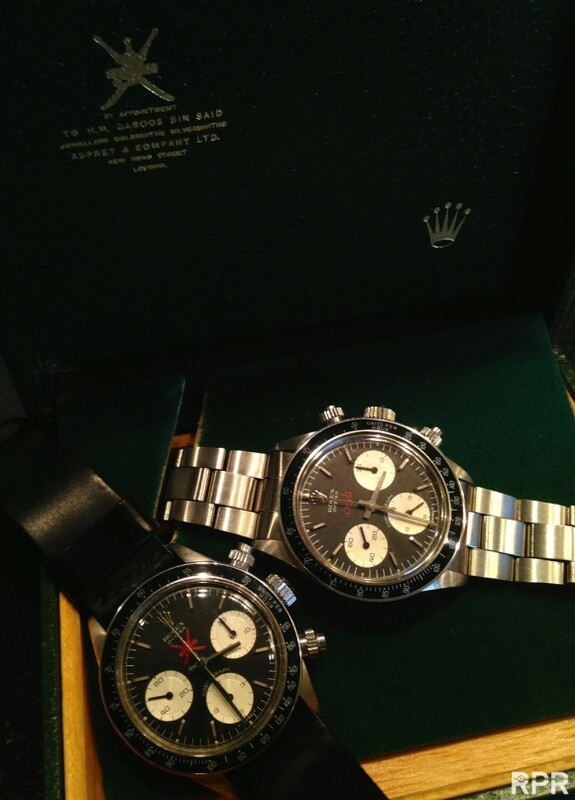 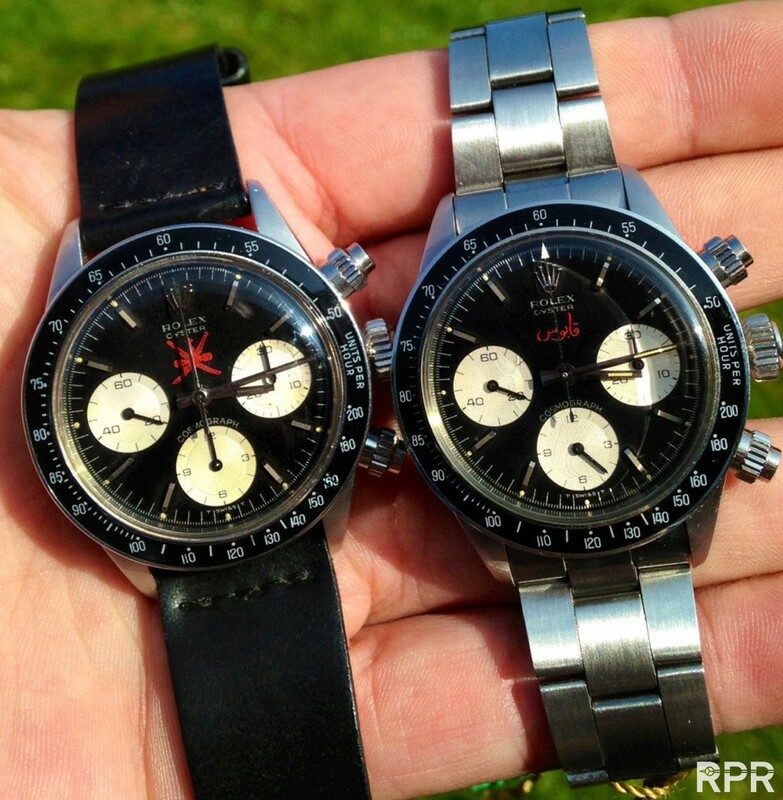 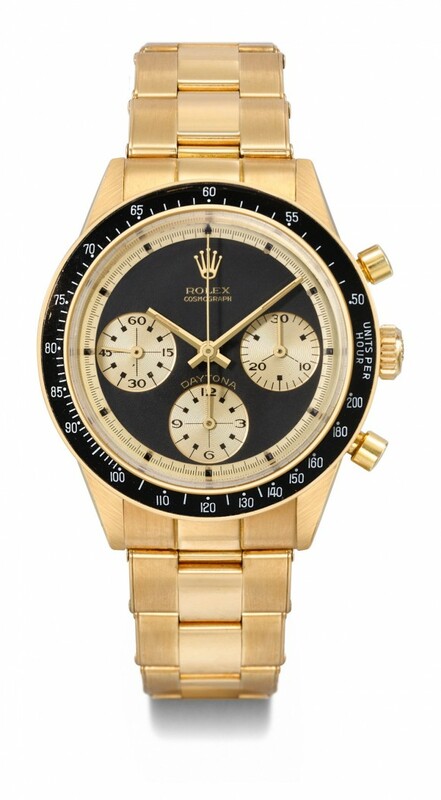 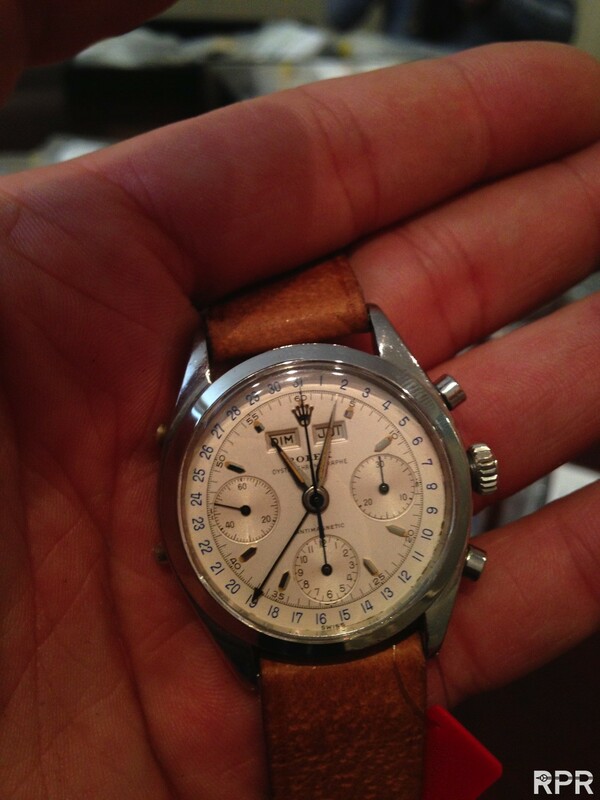 Legendary Daytona, Oman & Paul Newman..
PPC ref 2499 – 3th serie..
Christie’ Preview of Geneva Watch Auction in May 2013.. 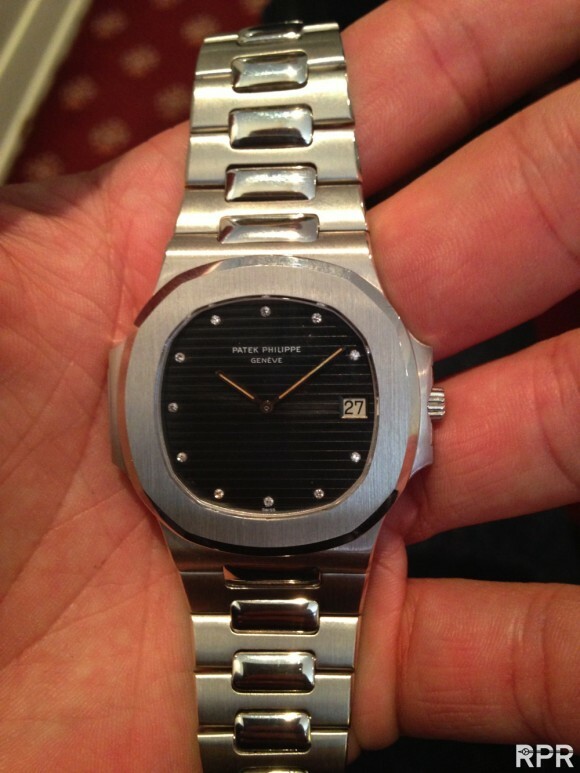 Unique PPC Nautilus in Platinum, estimate 300-500.000,= sfr. 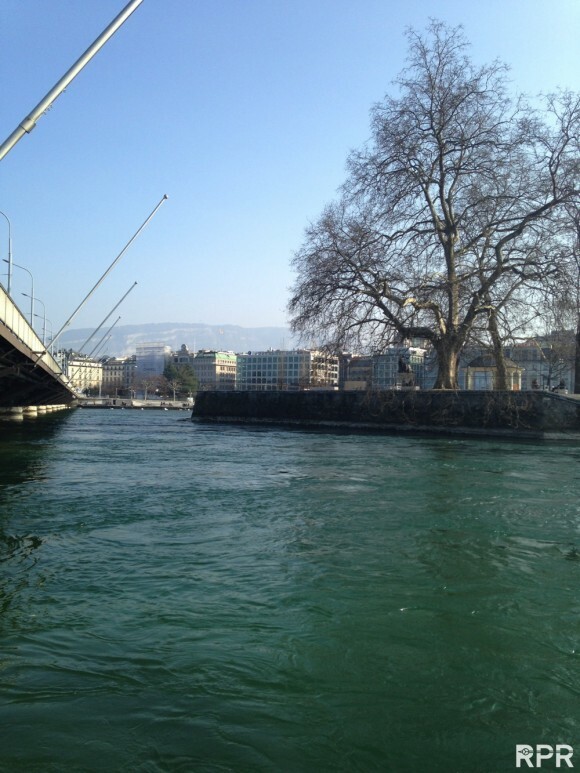 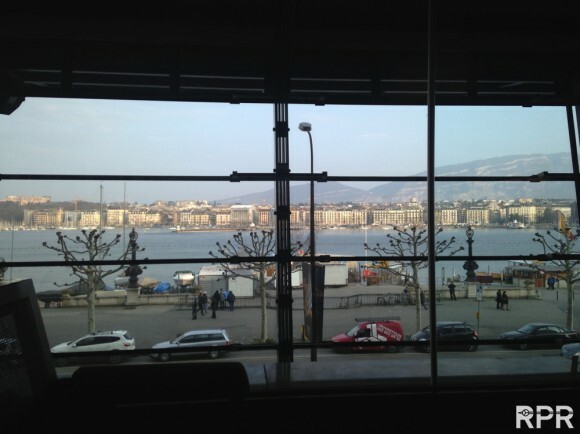 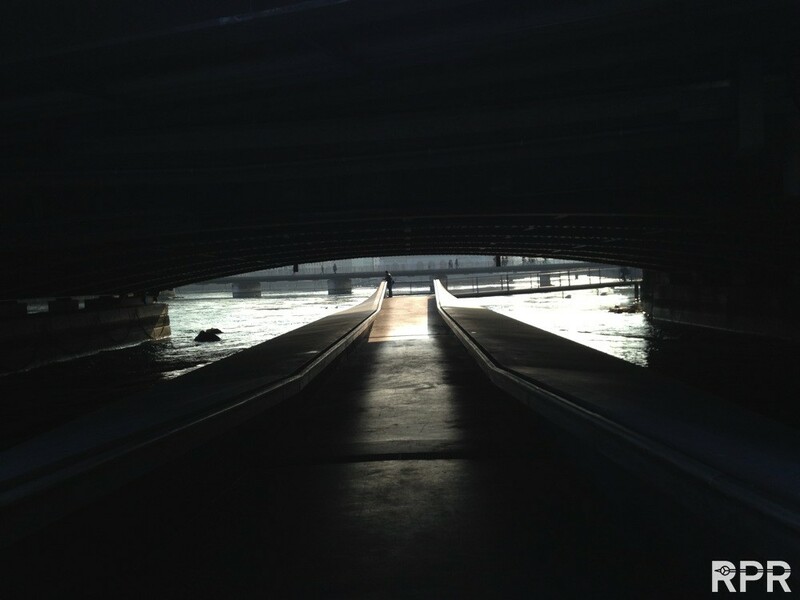 See you all in May in Geneva!! 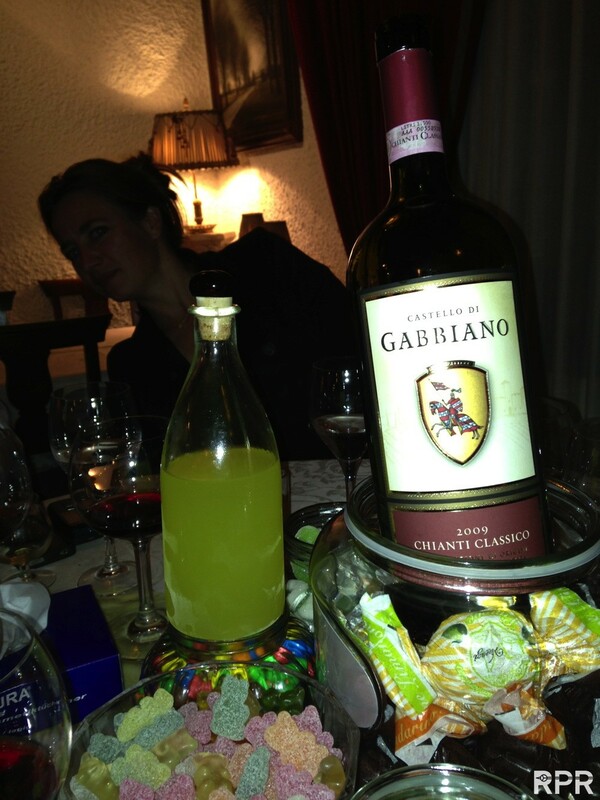 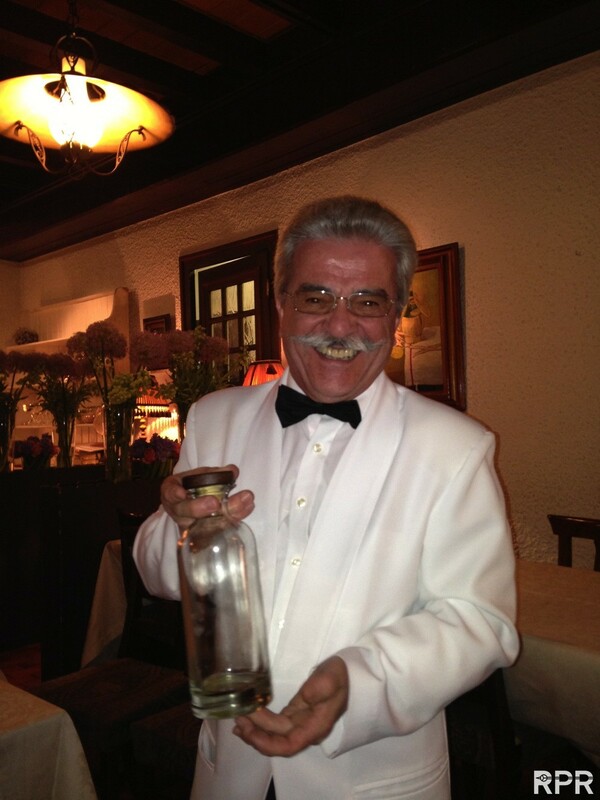 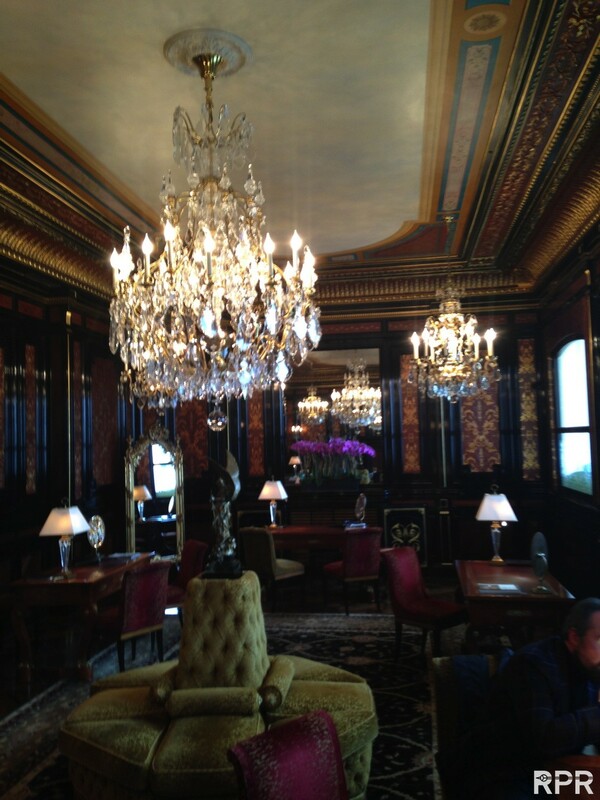 MANY thanks again my great friends for taking care of me and my wife! 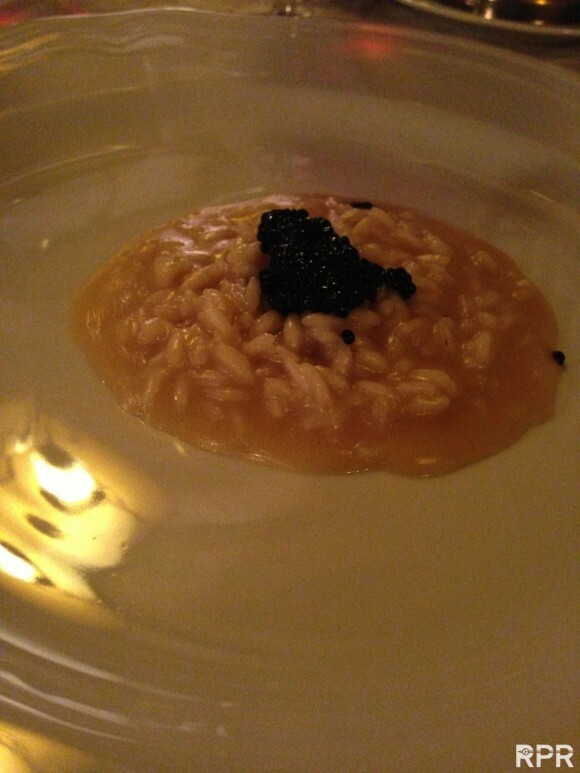 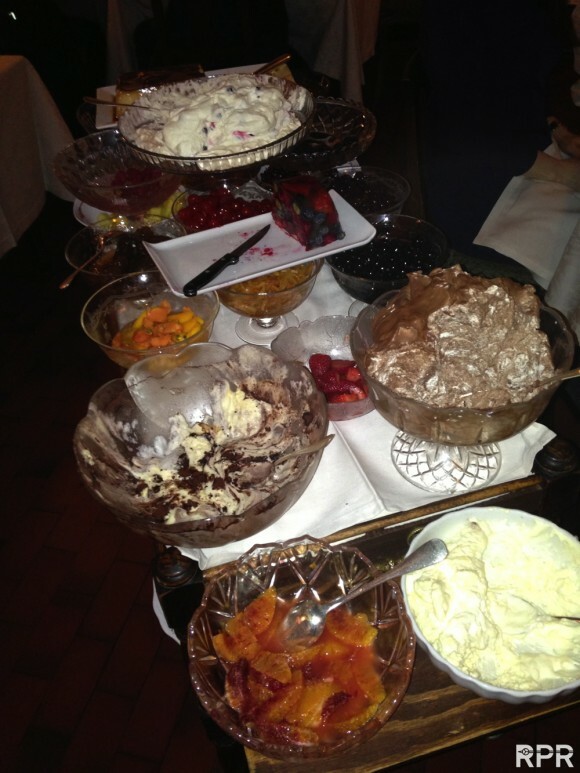 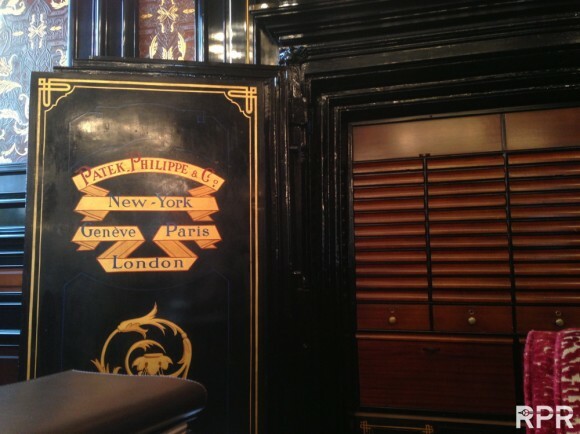 This post was written by Philipp on April 5, 2013.